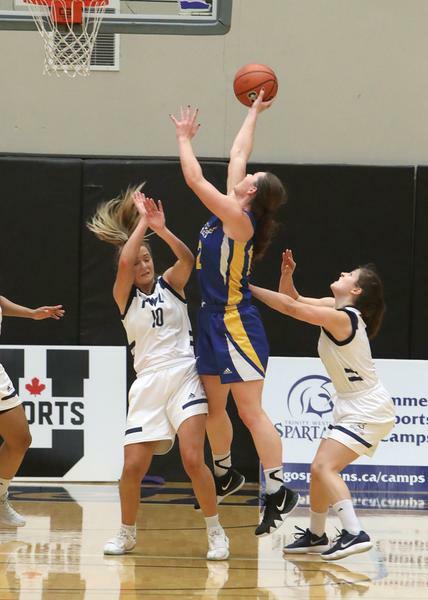 By Steven Lin - Sports Editor · November 22nd, 2018 at 4:06 p.m.
Last weekend, the Heat Women’s Basketball team traveled to Calgary where they fell to the Mount Royal Cougars in a two day series game, which extended their losing streak to eight games (0-8). On Friday, The Heat had a tremendous comeback in the third quarter, outscoring their opponent by six points. However, the Heat lost their momentum in the fourth quarter, resulting with the final score of 62-73. Despite the loss, The Heat’s starting forward, Jordan Korol, had a groundbreaking performance as she completed the game with a career-high 26 point score along with 18 rebounds. Not to mention, she also broke the record by being the first Heat player to score a double-double in a single half. In the following game on Saturday, the Heat lost by two points to the Cougars after a highly-competitive battle throughout the whole four quarters. In the last 11.4 seconds, guard Ana Evans attempted a buzzer shot behind the arc for a comeback win, but her shot fell just short, resulting to a two-point victory for the Mount Royal. 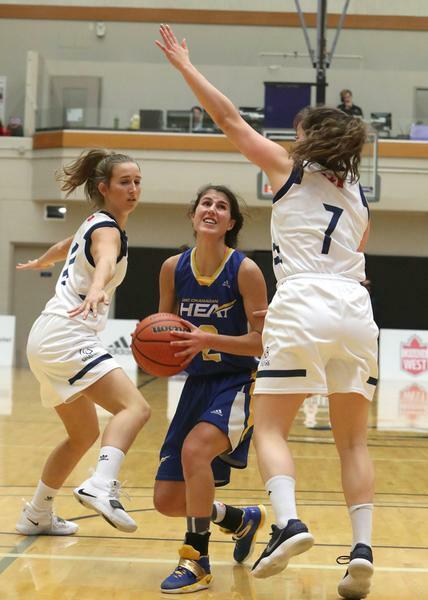 The Heat Women’s Basketball team has several key players, such as Jordan Korol, Ana Evans, and Vanessa Botteselle, who have contributed greatly to the team in executing strategic plays in both offense and defense. However, the team always seem to have trouble to play consistently throughout the whole quarters. “Not playing consistent basketball is the biggest issue to not winning. We need to put four quarters together,” said Head Coach Bobby Mitchell. Next up, the Heat are travelling to Kamloops this weekend to play against the host team, the Thompson Rivers Wolfpack, on Friday at 11 AM, and Saturday, at 1PM. Students are encouraged to cheer for the Heat and watch the game on live TV on Canada West.